After the official launch of the Make a Move project in Rijeka in October 2018. organised by KRILA, on March 27th, in the O’Donoghue Centre (Studio 1), NUI Galway, Galway Theatre Festival organised an official launch of the Make a Move Project where they discovered the artists who will participate on behalf of Galway in ‘Make a Move’ as resident artist and local artists! This is a significant milestone for Galway Theatre Festival since this is its first European project and they are also the hosts of the 1st Lab that will run from April 25th – May 4th in Galway city and in Áras Éanna Arts Centre on Inis Oirr and will focus on digital practices. In Galway the project will see artists and audiences from Galway meet, share skills with and experience the work of other artists from around Europe. 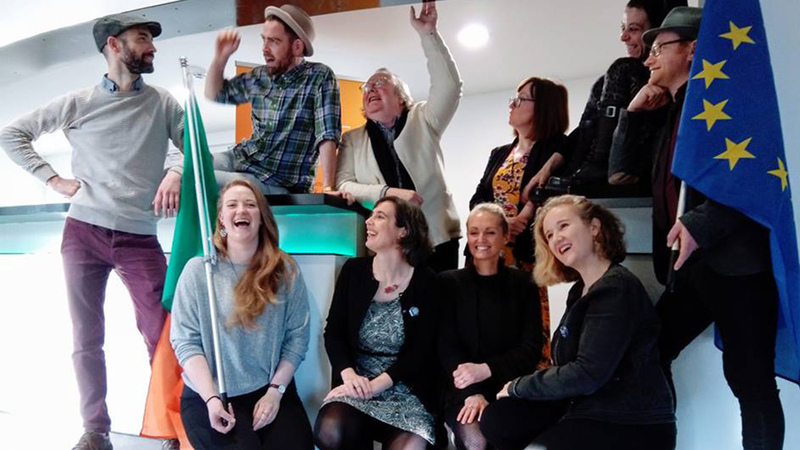 Theatre artist James Riordan was unveiled at the launch as the Galway representative in the overall Make a Move project. James will participate in the project’s three creative labs in Galway, Rijeka (Croatia) and Targu-Mures (Romania) in 2019, as part of a core group of 10 European artists. The launch also unveiled the 10 selected artists from Ireland who will participate in the Galway lab at the end of April – they are Anja Kersten, Eileen McClory, John Rogers, Sandra González Bandera, Liza Cox, Conor Geoghegan, Orlaith Ní Chearra, Francesca Castellano, Gráinne O’Carroll and Cathal McGuire. 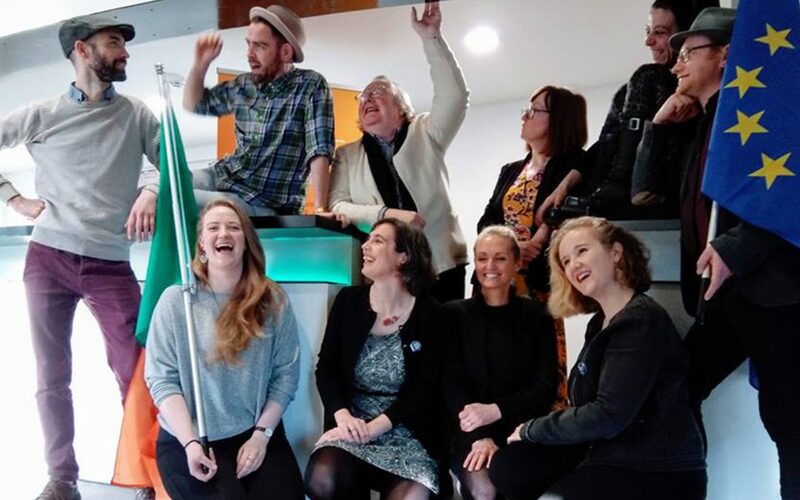 The Make a Move project is co-funded by the Creative Europe Programme of the European Union, the Arts Council, Galway 2020 and Galway City Council.